It’s the year 2015 and America has transitioned into a “Flip or Flop”, “Love it or List it”, “Fixer-Upper” kinda world. With the talents of Chip and JoAnna, Terek and Christina, and oh yeah, don’t forget the “Property Brothers” filling up everyone’s head with dreams of real estate flips and transforming real estate disasters into luxury dream homes, its no wonder buyers have such high expectations when seeking a new place to call home. We are living in an “HGTV world” and everyone wants to buy open concept, new and updated, functional and beautifully staged properties. Buyers want new! Buyers want updated. Buyers want quality. They want what they see on HGTV! That’s just the way it is and there’s no stopping the profit potential for Houston Real Estate Investors who are giving buyers exactly they want. 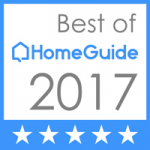 So often, I’ve seen renovations that are not thoroughly and properly planned that had to be cut just short of renovating the master bath or the kitchen cabinets and then placed on the market for the same price as if they did the updates. It’s crazy! And on the flip side (no pun intended), I’ve see the very skilled and seasoned investors carefully plan, budget, and stage their flips and sell for top dollar on day one, just about every time. If there is anything I’ve learned in my years of staging experience it’s this: Planning to fool the inspector is not a great plan and not planning to romance your buyer is a big mistake too. You have to make them want it and HGTV is raising the standard! Cutting corners ain’t gonna cut it. I don’t need a real estate license to know this and I don’t even need to know the first thing about flipping houses to know this. I know this because it’s what I would want. It’s what you would want. It’s what we all want. HGTV quality. It’s not going anywhere. It’s here today and it will still be here when your done with that first-time flip that you put all your money and last bit of savings into. Plan to go all the way or maybe you’re not really ready to flip. Failing to plan, is planning to fail. Buyers will always dig a little deeper for something that looks and feels like HGTV quality! 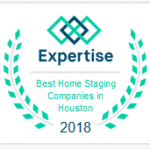 I recently had a conversation with a realtor who started partnering with Houston Real Estate Investors and called me to get an idea of the cost of staging. 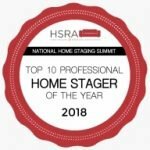 He wanted to plan financially for the “finishing touch” and wanted to make sure he was able to educate his clients on the staging investment and benefits. When he and his partners were done with a quality renovation they wanted to add even more value by staging. What a smart plan! He probably saw a staged home on guess where, HGTV! My point is this: If you want to maximize your profit in selling real estate plan on going all the way. Plan on romancing your buyer. Don’t plan to cut corners! Get your inspections, use designer finishes as much possible and get it staged. It’s not about what you want in a home so much as what your buyer wants and if they will be able to see themselves living there. They want quality. They want functional. They want a beautiful lifestyle image. Buyers want to be romanced and they are willing to pay more for it. They want HGTV quality. For more information on professional Houston home staging, be sure to call us today at 832-301-5696.